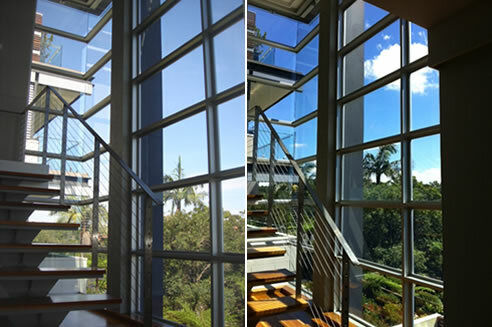 Sun control – our range of prestige 3M window film provides exceptional heat rejection. Being made using no-metal technology, it offers low reflectivity and very high levels of UV protection to keep your furnishings and carpets from discolouration due to prolonged sunlight exposure. Anti-graffiti film – anti graffiti film for windows is a great addition to any store front. It provides a first line of defence against paint, gouging, scratching and even acid etching. And because the film is easily removable, you could replace the film in the event of vandalism without removing your windows! 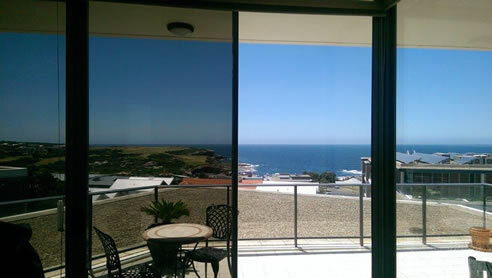 Decorative film for windows – Fasara films, frosting and DI-NOC are great 3M window film products for a range of creative purposes. Have a serene etched glass appearance, a sandblasted effect, or pick from natural or high-tech patterns – the choice is yours! Speak to our team of professionals to learn more about these great films for windows. We’re happy to show you the range and make suggestions on what products might work best for you, to help you make a more informed choice.